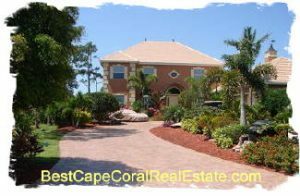 Cape Coral homes dot the landscape from gulf access homes on canals, to homes with swimming pools. Many of the homes are in sublime neighborhoods. The choices of locations is endless. Sun splashed days and balmy nights mean funtastic playtime fantasies come true. A special community, Cape Coral coastal community boasts more than 400 miles of canals, plus lakes and the mega Caloosahatche river. There is a revival taking place in downtown Cape Coral. We have constructed this site to be easy to use. Pick a link that applies to your home search below. Search Links below using our state of the art Hourly updated MLS search engine. Cape Coral is a nautical community.Parts of Cape Coral are somewhat historic and touch the ocean or tidal bodies of water. These include such water as inlets and bays. many of these areas are places that locals and visitors go for waterfront activities or taking in the scenery.